I’m happy to say that, after a long time of lagging behind the iOS world, Android devices and apps are finally available to enable professional production on this platform. And, because most people in the world are using an Android device, it makes sense to think about recommendations to help them, especially non-professional media creators, to choose the best tools for their video content. Why would you choose a video-only app? One reason is because a good dedicated video app will have controls that are designed for video shooting and you won’t get settings mixed up when switching between modes on a normal camera app. For instance, this can happen when switching between 4:3 aspect ratio high-definition still images and shooting HD video, which is typically 16:9 aspect ratio on your screen. Some apps choke a bit when switching. And, some apps are set to automatically start video recording when you switch to video mode. I can’t figure out why that’s a default feature (sometimes non-defeatable) but it’s a pain when you’re trying to shoot dedicated video. Ultimately, dedicated apps are designed for video shooting, and make the most of their interface and features. Here are three dedicated video capture apps that are the top of charts for me. I’ll review them in my general order of preference, but they’re all very good. Any weaknesses are generally pretty minor. 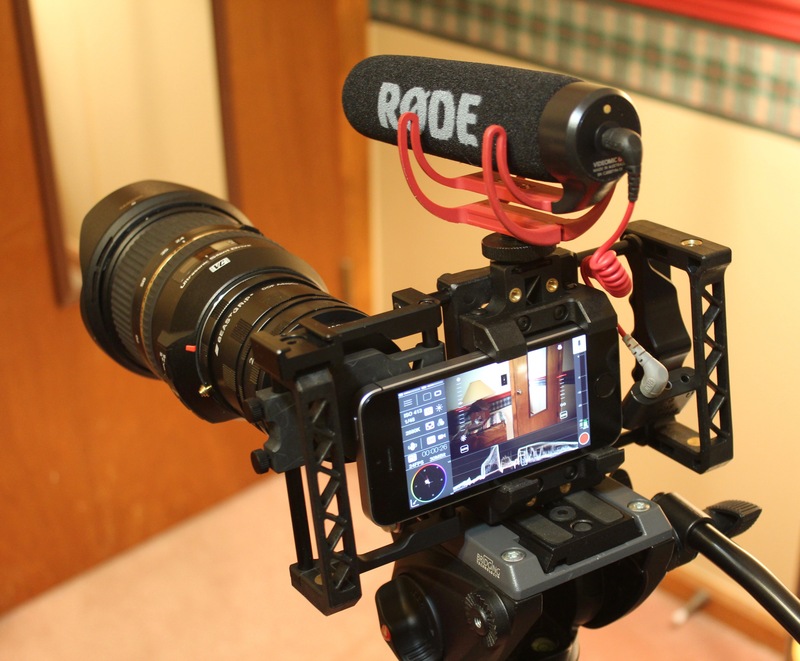 Among mobile filmmakers and mobile journalists, Filmic Pro has long been the go-to app. 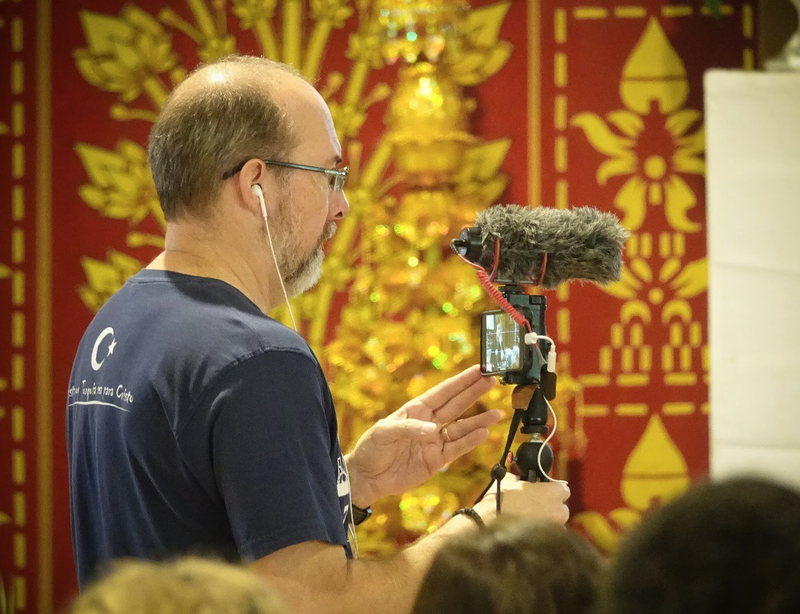 It started life as an iOS-only app but the Android version is fully developed and gives you a full feature set for truly professional video production on a mobile device. Full range of manual controls with a very friendly on-screen interface for manual focus and exposure control. Manual controls on all apps will be device dependent. They should work on most higher-end phones. On a lower-end phone, you still have manual control, but some features, like the sliders you see in the above screen capture, won’t be there. Shooting aspect ratios for every popular format, including square format video, and UI rotation for simple vertical video shooting. High resolution (including 4K) and data rates, depending on your device capabilities. Excellent video quality, including smooth motion. Accurate frame rate. Other apps’ frame rates can vary widely, even if set in the app. Format presets if you want to switch quickly between settings. For instance, a 4K setting and a FullHD (1080) video setting without going through many menus. Automatic exposure and focus “pulling” for more professional control. A continuous auto-focus mode that uses most of the screen as a focus area. This is great for gimbal and other handheld shots where you have a lot of motion in the scene. Picture profile settings – these are advanced settings that professional filmmakers use to give them more control in editing their picture. Typically not something non-professionals want to use, as the video captured may not actually look very good until it is “graded” in an editing program. Live audio monitoring, with on-screen meter, is possible with the proper adapters. Lots of options that may be confusing to non-professionals. Display can be cluttered if you have lots of features activated, but they are instantly accessible. Cinema FV-5 is a companion to Camera FV-5, which I’ve reviewed elsewhere. But it can also be purchased and used separately as a dedicated video capture app. As with Camera FV-5, the Cinema version is full-featured and well-suited to professional mobile production. If you want a dedicated app, I feel it’s the best choice for lower-end devices, even if features are disabled. Nice implementation of manual controls including a slider for focus and exposure on devices that have the Camera2 API. Paid version (Pro) has full resolution and high data rate capabilities, up to your device’s specs. The most common manual control I like to tweak, exposure compensation, is on screen all the time. Nice. On-screen display of current settings. Continuous focus mode is very accurate and useful. Professional features like interface customization, a histogram for video levels, etc. Quick switching between features such as a histogram, stabilization on/off, etc. No vertical video mode (interface rotation) – see my comments on other apps for my thoughts on why this is useful. Locking and unlocking some functions, like manual exposure, could be simpler – a few too many clicks to release and re-set. Of course, the manual controls change to meet the device specs. The capabilities are still there, just some controls get more basic. Other device-dependent features, like 4K video recording, may be missing on low-end devices. Cinema 4K is designed with many professional features for high-end devices. As the name implies, it can shoot up to 4K if your device can handle it. It is set up for more experienced shooters, but I find the controls are very intuitive and responsive. I’m reviewing this app with a caveat. On my Google Pixel 2 (still pretty state-of-the-art as I write this) I get great general image quality. However, I see a lot of motion artifacts anytime I pan, tilt, or have a lot of motion in the shot. I’ve tried to track it down, and have decided it’s the app. My A/B testing with Filmic Pro on the same device shows ‘jerky’ motion in footage from Cinema 4K versus Filmic Pro footage, with the exact same settings. I’m willing to consider that it could be unique to the Pixel 2, so until I can do more tests with other phones, I’ll just leave it at that. A very nice on-screen interface with common controls and settings clearly accessible. Extensive, but easy-to-use manual controls, device dependent. Full range of resolutions and data rates for video files, device dependent. Full screen, clean display when recording, but manual controls appear when you tap the screen. Nice implementation. My biggest concern is actually image quality. Images without a lot of motion are great. I see a lot of motion artifacts in Cinema 4K footage when the camera is panning across a scene. I’ve done a lot of A/B testing and can’t fix it. I believe it is related to variable frame/bit rates used by most apps in mobile devices. No vertical video adaptation. This has been a “rule” in the professional filmmaking world, but it’s passé, to me. Let us shoot 4K vertical video! No live audio monitoring, or on screen audio meters.